CONTACT US FOR YOUR NEXT ROBOTIC PROJECT! The Firetail team was asked to come up with a marine version of the Firetail Autopilot that can compete with the best on the world stage. Did you know that It can be extremely difficult to carry out a marine survey with equipment that is not easily carried or operated, The Surfbee boats range from 1.2 Meters to 6 Meters and can carry up to 1 tonne. Surfbee provides a flexible marine survey product that can be packed into a back pack and easily transported anywhere in the world. An idea by two guys in a shed in Albury’ is capturing attention in the world of disaster response. Back in 2014, helicopter pilot Jack Hurley joined with a small team of engineers to create an unmanned aerial robot—also known as a UAR or drone—that could be used to quickly capture photos and data after a disaster like a flood or cyclone. The Firetail is an Unmanned Aerial System (UAS) consisting of a low-cost foam wing and Australian-made and designed Firetail autopilot and application that enables both the collection and presentation of real-time geo-referenced images and maps for damage assessment. The Firetail folds into a standard backpack and can be deployed in a matter of minutes. The advantages of utilizing a mobile device is that geo-referenced images can be delivered in real time to our Firetail cloud anywhere in the world. Another advantage is that users can review stitched together geo-referenced images upon landing. Firetail was the first company in the world to develop a hand held brushless gimbal for the GoPro and Black Magic Pocket Cinema Camera. Gyromatic now Firetail was put on the map by launching a successful Indiegogo campaign. 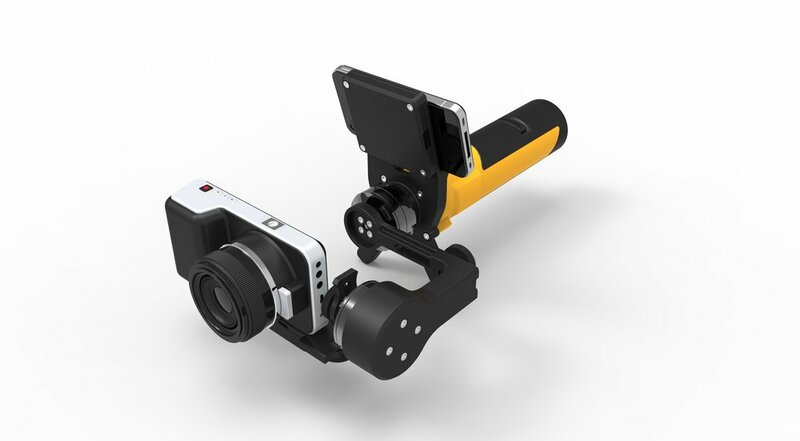 Firetail built a Gimbal for GoPro in the USA to film the GoPro 3 Intro video! Gyromatic is a Firetail owned business. Interested in starting a robotics project? Fill out the form and start a conversation!